Most countries around the world have an untapped resource opportunity lying within their borders: the restoration of forest landscapes. “Forest landscape restoration” is the process of regaining ecological functionality and enhancing human wellbeing across cleared or degraded forest landscapes. It can result in a variety of land uses, ranging from vast tracts of dense natural forests, to high-yield agroforestry systems, to a mosaic of wooded areas amid productive agricultural fields. Forest landscape restoration does not call for increasing tree cover beyond what would be ecologically appropriate for a particular location. Forest landscape restoration can yield a number of economic, social, and environmental benefits. Economically, it can diversify economies, reduce damages from natural hazards, generate marketable forest and agricultural products, and support recreation and tourism. Socially, it can create jobs, help alleviate local poverty, increase food security, support cultural heritage, and strengthen national pride. Environmentally, it can improve and sustain soil and water quality, conserve biodiversity, and help people mitigate and adapt to climate change. 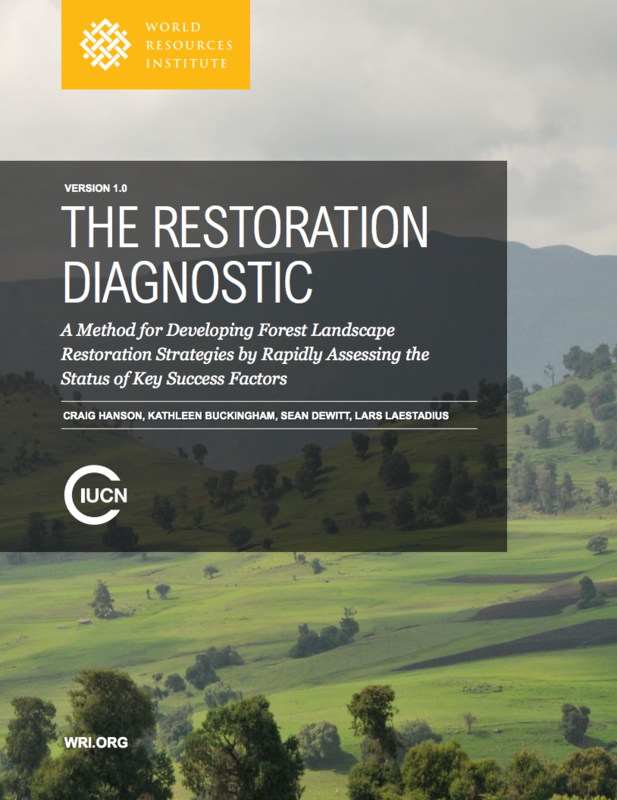 Furthermore, forest landscape restoration can help governments meet several national and international agreements and commitments including those regarding reduced emissions from deforestation and forest degradation in developing countries (REDD+), the Convention to Combat Desertification, the Convention on Biological Diversity, the Sustainable Development Goals, the New York Declaration on Forests, and the Bonn Challenge. Capacity and resources for sustained implementation. Capacity and resources were mobilized to implement forest landscape restoration on a sustained basis on the ground.